It happens every July. Suddenly, almost overnight, the far corner of my backyard looks like Audrey II from Little Shop of Horrors has taken up residence. Those two small squash plants overtake a raised bed garden and produce large fruit that needs to be picked on almost a daily basis for the next month. 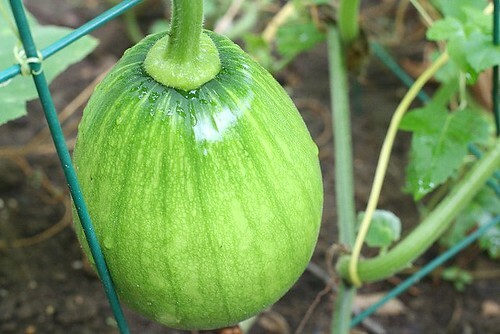 I plant Korean squash, which is different than zucchini, both in shape and taste. 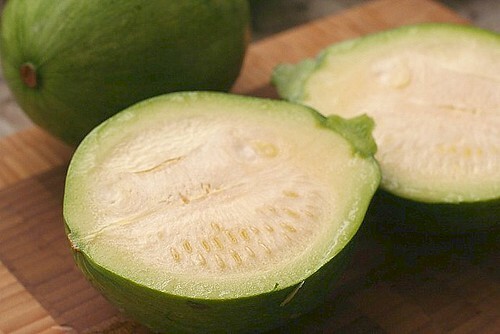 Korean squash is rounder (although my current batch is extremely round, rounder than normal), the texture is slightly softer, and the taste is milder. So the dilemma facing all home gardeners is what the heck to do with all that zucchini? I don’t have a magic answer – I do what almost everyone does. I make zucchini bread, pasta with zucchini, grilled squash, steamed squash with Korean dipping sauce (so simple and delicious), and of course, I give it away. 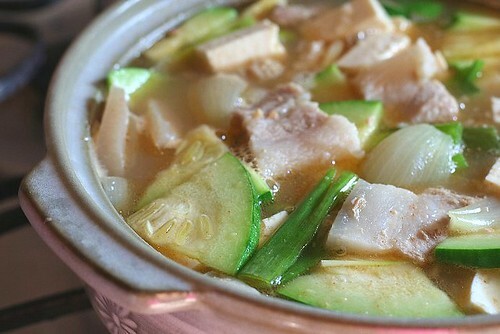 But my husband’s favorite recipe is a staple of Korean kitchens during the summer months, denjang jigae (Korean bean paste soup). 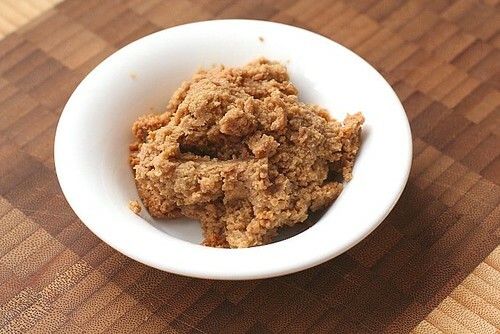 Denjang is fermented soybean paste, different than the Japanese version miso. Denjang has a much stronger taste (and smell!) than miso and has bits of soybeans in it. 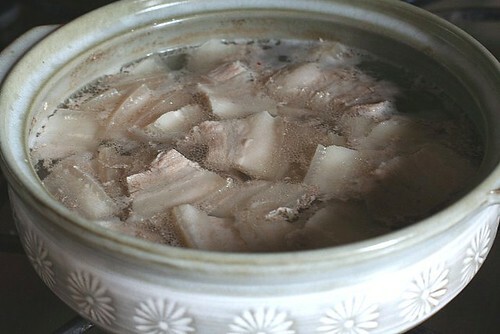 While it is available in Korean and Asian grocery stores, I am lucky enough to have an aunt who makes homemade denjang. Homemade denjang is about as common as homemade ketchup these days, extremely rare but exceptionally delicious. 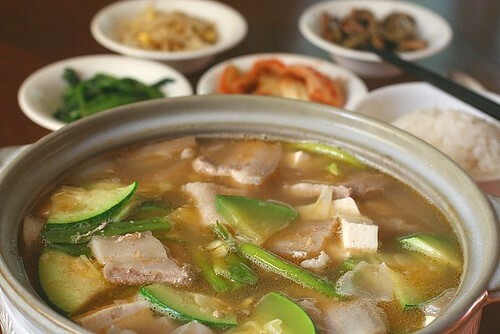 Denjang jigae can be made so many different ways with different ingredients. Use clam broth, chicken broth, or even vegetable stock. Add mushrooms, potatoes or carrots. This is the way I make it. Bring water to a boil in a large pot (I use a traditional Korean clay pot). Add sliced pork belly lower to medium high. Skim off fat and foam. Add denjang, chili powder and garlic and let simmer for 10 minutes. Add zucchini, onion and hot pepper and simmer for 10 minutes more. Add tofu and scallions, cover and let sit for a few minutes. Serve with white rice, kimchi and any other banchan you have on hand. That’s a great idea for using up zucchini! yum. i also love the thought that you have many banchan on hand; I sure wish I regularly had lots of banchan around. Thanks for the denjang jigae recipe. Looks delicious. It’s one of my favorite Korean dishes. That looks good. I have some denjang in my fridge just looking for a home. I made this tonight, your way. It was delish! My mom always taught me to use the baby sardines for the broth and then add in a little meat but this was faster and was great, thank you! Wow. This is a staple for me. 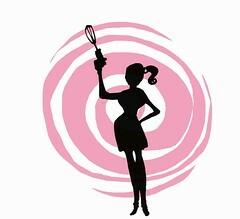 I’m always looking for other recipes. Passed on from my mom was the little bit of that, little bit of this recipe which is probably how every korean mom gives directions on cooking. Lucky you to have homemade denjang. I always tried to get it to tastes like my moms and the closest I could get is to use bonito or dashi stock. Hey man , thanks 4 posting but this page doesn’t format correctly when using Chrome it is is overlapping. I have been told to use processed Black Hen chicken manure to fertilize my Korean Squash plants. How often should I fertilize the plants with Black Hen, and where do I place the fertilizer in reference to the stems, and/or runners? Thanks.